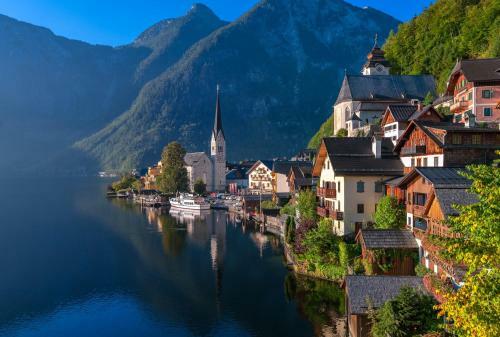 W & S Executive Apartments - Hallstatt II offers accommodation in Hallstatt, 18 km from Schladming. The unit is 35 km from Obertauern, and guests benefit from free WiFi and private parking available on site. A flat-screen TV is offered. W & S Executive Apartments - Obertraun offers stylish apartments in Obertraun, 2 km from the beach on Lake Hallstatt. Imprint. Imprint. W & S Executive Apartments - Hallstatt I. +43 6649115846. Lahnstraße 55 Hallstatt, Upper Austria, 4831, Austria. house.dachstein@gmail. com. Obertraun 194, Obertraun, Obertraun, Austria 4831 (Show on map) ... W & S Executive Apartments - Obertraun offers stylish apartments in Obertraun, 2 km from ... beautiful mountain view from balcony in early morning. free carpark in Hallstatt.